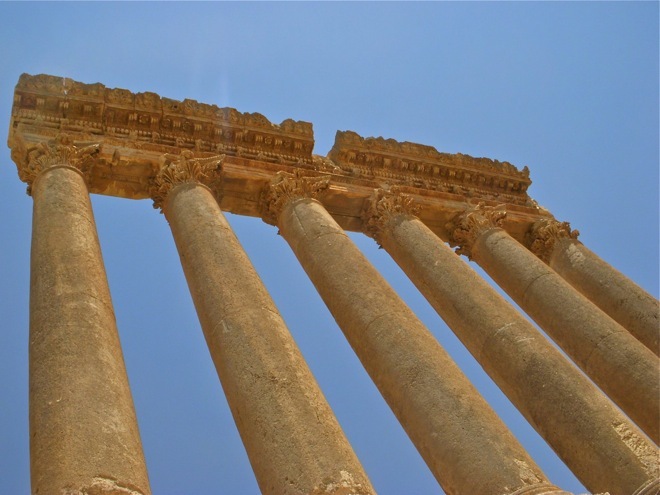 Lebanon – an unforgettable experience! If you’re looking for a place that has a rich culture, warm people and beautiful architecture, then Lebanon is the place to be. Lebanon, officially called the Republic of Lebanon, is a country that is bordered by the gorgeous Mediterranean sea in the east, shares a border with Syria on the north and east sides and has an extensive range of mountains called the Lebanon Mountains that run parallel to its west coastline. Its capital city is Beirut, which is sometimes referred to as the ‘Paris of the East’ due to the number of tourists it brings in. Summers in Lebanon are rather hot and dry and the winters are rather mild and wet. In summer it gets cooler up in the mountains and sometimes in winter, it even snows. So, if you’re planning on taking a vacation to this beautiful country, you should get some research done! There are a lot of interesting things to do while you’re there. One of the famous attractions is most certainly the Temple of Bacchus, which is located in the complex in Classic Antiquity. It is dedicated to the Roman God of wine and has scenes from the life of the God on the inner walls. Rich entablature covers the pillars. Other archaeological sites include the World Heritage Sites of Anjar, Baalbek, Byblos, Ouadi Qadisha and the Forest of the Cedars, which incidentally is now the emblem of Lebanon. Lebanese food has a distinct flavour and for all you foodies out there Lebanese food should be on your list of things to do before you die! Some of the famous local dishes are the Tabouleh and Fattoush that is served with a dip such as Hummus or Baba ghanoushsome. The list of savoury dishes just goes on and on! Make sure you visit Lebanon and experience everything that it has to offer. I often find cheap local accomodation on arrival. Nothing is very fa from where ever you are situated.